Are you struggling to figure out how to create a successful small business website? Looking for some tips to streamline the process? You’ll never succeed online if you don’t have a killer small business website. In essence, you need to master how to put together a great website. The good news is it’s not that hard. I’ve figured out how to streamline website creation process. It works so well each time I help any client to create a website here at AM Solutions. My definition of a successful small business website is that help you to grow your business by providing required info to your customers about your products/services, establish you as an authority in your niche and produce new business leads on a regular basis. Also, I’m not going to share with you how to code a website because that is an easy stuff, you can find a developer to do it for you and instead I’m going to share a blueprint for an online business success from an idea to a goal completion. A website is the most important tool you require to achieve your online business success. It doesn’t matter if you’re someone who is just starting a new website or someone who’s been building a website for years, your website must be the part of your big marketing plan, not a standalone thing. Getting crystal clear about why you need a website before you start creating one is really important. A website that provides info about your products/services and a website, which increases the leads for your business, are two different things. Often people mix these two objectives they would like to achieve from a website. For example, by providing information about your products or services you can get few leads but you must not leave this on a chance, instead if your goal is to increase the leads for your business, you must keep optimizing your web pages that include tweaking your content, design, and calls to actions. Once you know your ideal customer(s), create their personas. Ideal personas should contain a picture, age, profession, and their location. Typically, you can have 3 to 5 persons, I recommend that each time you create any web page, you must be talking to one of the personas you’ve just created. This way you can relate your brand with your target customer. Knowing your ideal customer will help you to find the language they use online to find the products or services you would like to sell to them. Without keyword research, you’re playing a blind online game. You can read best tips from 17 SEO experts on how to do a keyword research here. Establishing a substantive value proposition is critical if you want to start the journey from your “idea” to building a successful website. In its simplest terms, a value proposition is a positioning statement that explains what benefit you provide for who and how you do it uniquely well. It describes your target buyer, the problem you solve, and why you’re distinctly better than the alternatives. You can read the 4 required steps to establish your unique value proposition here. As a marketer, you need a marketing hook to convert your website visitor into prospects. Good marketing hook works like bait that you use to catch the fish. A memorable hook attracts attention to your marketing message and your business. Dentist: Just relax. We know the drill. Bakery: A fresh approach to your morning. Plumber: We are your security plumber. No leaks anywhere. Financial planner: Your peace of mind is a piece of our mind. Caterer: We’ll make you the guest, not the host, at your own party. Your marketing hook must be displayed clearly on your website to hook your website visitors. Marketing hook attracts prospect’s attention and your offer converts prospects into paying customers. How do you create an irresistible offer through your website? You do this by creating landing pages and drive traffic to those pages when your website visitors click on your marketing hook. Landing pages must convey your irresistible offer really well. 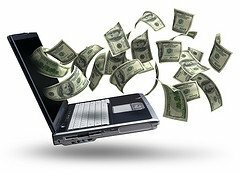 Now it’s time to put together all the above ground work into action and start building your online empire. Domain name is your address on the web. Also, one of the most important parts of your branding and chances are that your domain name will stay with you throughout the life of your website / online business. So choose your domain name wisely. If you have an interest in the real estate you must have heard this term. Here in the UK, we use this as a golden rule when it comes to investing in the real estate. When it comes to online business, I would say hosting has the same value. Because hosting is an online place, where all of your online website data will be saved and your website visitors will be served. Do not make mistake when selecting the hosting company. I recommend you check BlueHost. I found them extremely reliable and affordable for most people. You need a website that looks good and works great to achieve your online goals. Often business owners caught up with latest shiny things when it comes to website design. The important thing to remember is that simple design converts website visitors into leads. I believe simple and clean website design works a lot better than a complicated design such as Google.com is the best example of super simple and clean design. Also, you don’t achieve great design overnight; you start with your best guess and keep running the A/B tests for continuous design improvement to increase the conversion ratio. If you have the design expertise, great. If you don’t, hire a good website designer, believe me, it will be worth it. You name it and web developer can add that feature to your website. But I prefer keeping the website features simple and to an absolute bare minimum. Minimum features I would like to see in a website are contact form and email capture form. You can always add new features as you go along. A point I’m trying to make here is that keeping your website simple and clean is challenging because you can easily be tempted to add features that you might not need. Websites pages where so many things are going on often converts far less than simple and clean looking pages. A great example of a clean and a highly converting website is a Google.com. Is there any feature do you think Google can’t add to their home page? But if they don’t there must be a good reason behind it. You’ve finalized the design and features of your website, it’s time to pass this to your website developer to build your website. Please note I’m a big fan of WordPress and particularly Genesis framework for building a website. I strongly recommend that WordPress is the best platform for most small to medium size businesses to build their website on. On the web, you don’t have the luxury to ask your website visitor “how may I help you”, which you can in a traditional offline store. Your content on the web works like your sales representative, clear and easy to digest content is the key to converting your website visitors into leads and paying customers. You can certainly write your own website copy but you might not know that good copywriters are one of the highly paid professionals around. It might be a good idea to consider getting help from professionals. We’ve built it and they will come, 99.9% of the time it does not work like this. It’s like you’ve established an office, got all the equipment’s in place to run the office or shop but this will not alone start bringing the customers. Setting up your business website is just the start like opening an office. You got to promote regularly through any means you can. If you stop promoting, it’s very unlikely you keep getting website traffic. No or less traffic means no leads and customers. Like website promotion, website optimization and improving your lead conversion ratio is a continuous life-long process. You worked so hard to build a website and drive traffic to your website. You must make sure that you keep doing A/B testing to improve the conversion ratio for your landing pages. Because more leads mean more sales and revenue for your business. If you already have a website and analytics set up. I would ask you to check your analytics and see how many people are checking your website using the mobile devices. I bet you would be really surprised with the number of people coming to your website using mobile devices. But if you just starting out and don’t have any traffic yet to analyze, believe me, mobile is the future. So you need to make sure that your website looks and works well when you check out using your smartphone. Otherwise, you’re leaving a big chunk of the money on the table. It’s not that hard to create a great website. You just need to figure out the right steps, right tools and stick with it. Once you decide why do you need a website, make sure you’ve answered to all the points I’ve discussed above. 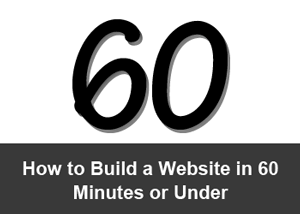 That way, you can go along smoothly at your own pace to create a successful small business website. Is there any other important point you want to include in this list? Please add that in the comments below. P.S. If you don’t have time to create your own website, you can always hire a Professional. But I recommend that you try it out yourself before you hire someone.